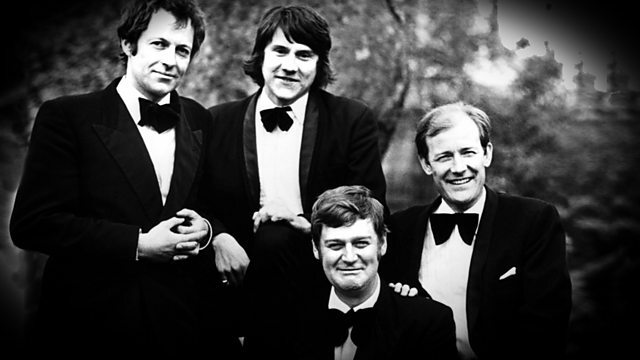 More humorous songs from the quartet of David Barlow, Peter Christie, Miles Kington and Alan Maryon-Davis. From December 1986. Featuring David Barlow, Peter Christie, Miles Kington and Alan Maryon-Davis attempting to be reasonably together again. With special guests: The Cambridge Buskers.